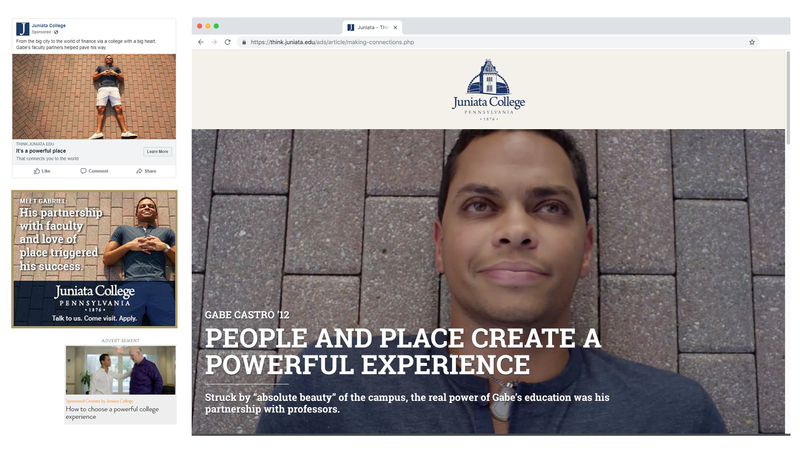 The first use of the Juniata brand was to fortify its recruitment marketing strategy. For Juniata, the steady results are positive. We track the activity across paid media campaigns and website engagement per the framework of an integrated marketing campaign – complete with all of the personas, buyers’ journeys, and deployment channels needed. Prior to Day One of launching the new recruitment campaign, the client/Cognitive team prepared personas based on characteristics of the current (and very eclectic) student body. The journeys these audiences took were mapped. The brand study amassed a great number of stories. Yet, not all stories are worth being told if the goal is to recruit students. Therefore, as a team, we filtered stories against the prism of brand and against the age-old, human metric of knowing a good story when you see one. 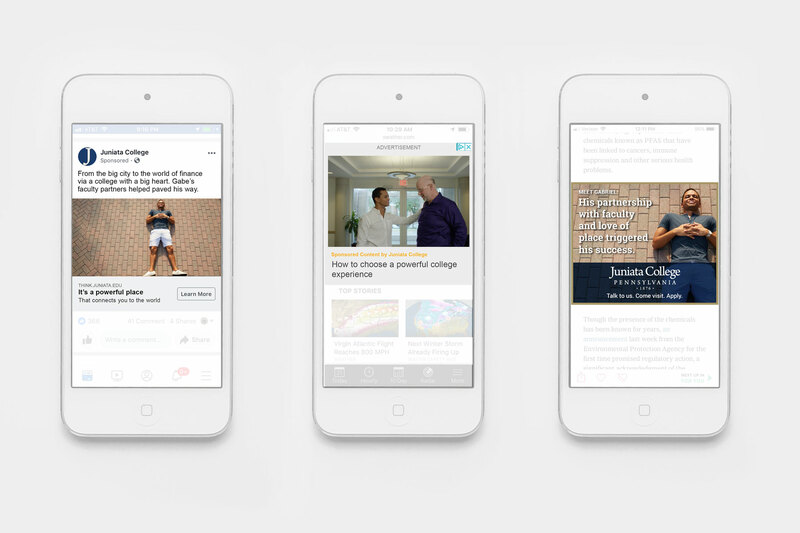 Core stories were identified and a suite of ads and posts on social media were created. Stories were aligned with the audience journey for each persona and then used in marketing at the appropriate time in the recruitment cycle. 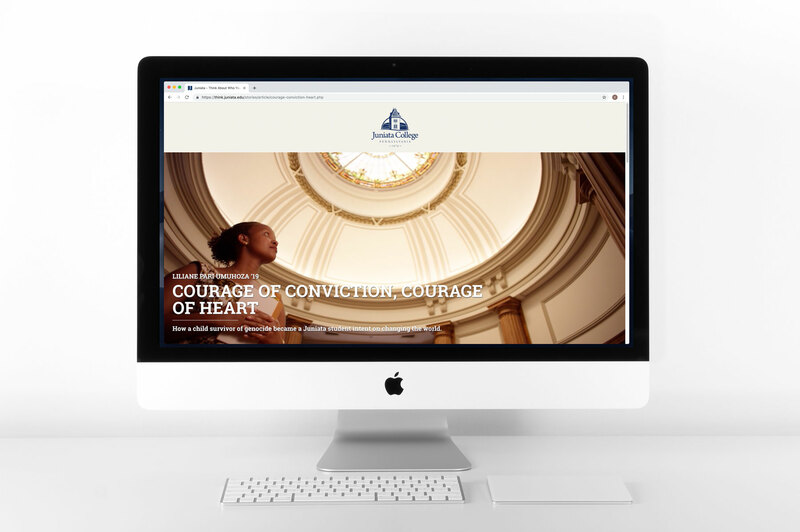 The content strategy executed for Juniata College has proven to have a high return on the investment. In addition to increased levels of online engagement with prospective students via the recruitment microsite and the main website, inquiries and applications from students interested in key academic areas have increased. The academic profile of incoming students increased and goals for diversity are being met. 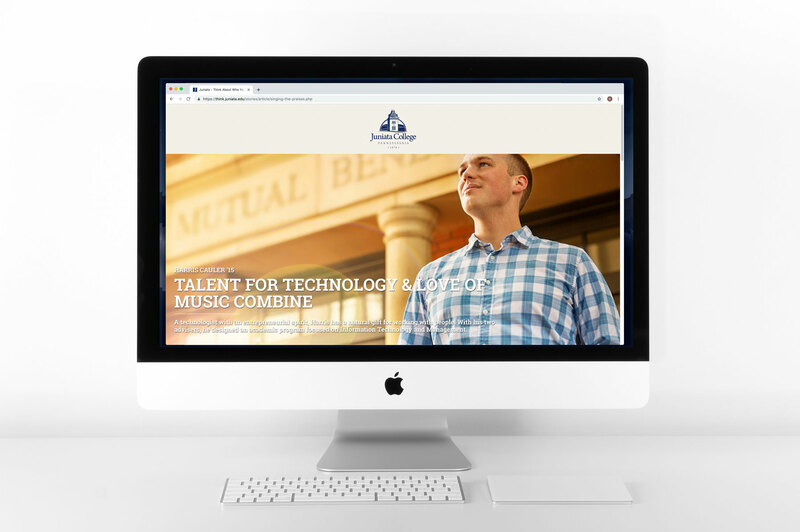 Equally important, collaboration between members of the College’s marketing, enrollment, and senior leadership team has risen considerably, allowing the content strategy to evolve over its third full year of implementation.